So… here we are, 62 others lying waste in the rear-view mirror. A few weeks ago, our ugly step-cousin podcast, Soundtrack of the Week put up a bracket ranking the top 64 Twitter accounts in their sphere of influence. These accounts included such heavyweights as Nick Wright of 610 Sports and Internet legend DrunkenKoRnie. It also included up and comers like A.J. Coffelt and Mere_Death. Two Morons enter… one moron leaves… assuming he or she is sober enough to find the door. Point your browser over to http://theunassociatedpress.com/2012-uapsotw-twitter-bracket/ and vote like your lives depended on it. You may vote this weekend, starting now. 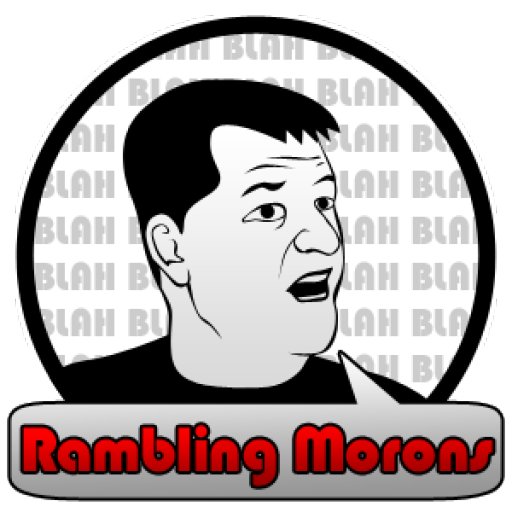 Voting will end at 4:00 on Sunday and the winner will be announced, live, on the Rambling Morons podcast at 4:00. The podcast will feature special guests Ty and Jay Fisher, who came up with this horrible idea to pit people against each other for their own amusement. This contest has ended marriages, broken up relationships and turned at least one participant gay (AJ Coffelt). I certainly hope those bastards over at SOTW have enjoyed laughing at their gladiators fighting each other. But we must fight til the end, for those that are unable to fight for themselves. It’s what Kony would have us do. One thing is certain, someone’s feelings are about to be hurt. Vote early. Vote often. Vote Morons. I didn’t get a tag? Lame. I’m the one that saw this coming from the start.